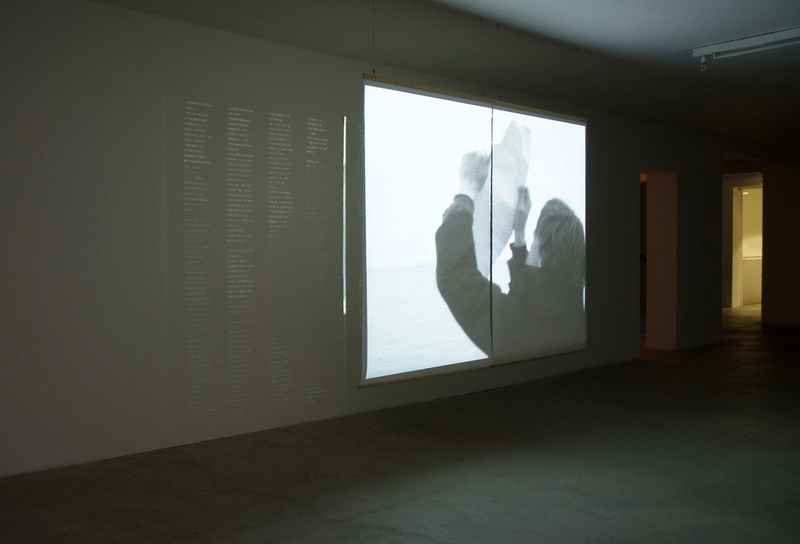 Dagbok is a video installation inspired by the diary a Norwegian newspaper journalist and patriot, who wrote his diary during eight months of captivity in a Nazi prison, including four months of solitary confinement. Without access to pen or paper, the prisoner painstakingly wrote his musings on life, war, love and his troubled faith by pricking holes in coarse lavatory paper with a tack he had removed from a black-out curtain over the cell window. To convey this complex narrative, I created a large paper screen that hangs approximately 5 feet from a wall, forming a corridor that the audience can walk through. 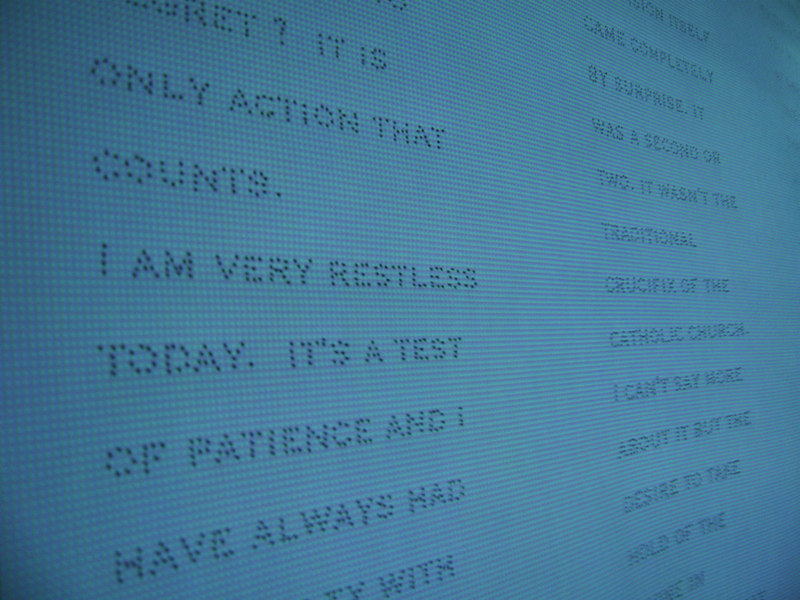 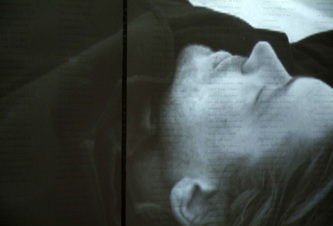 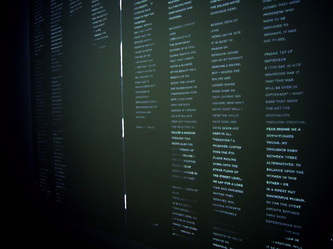 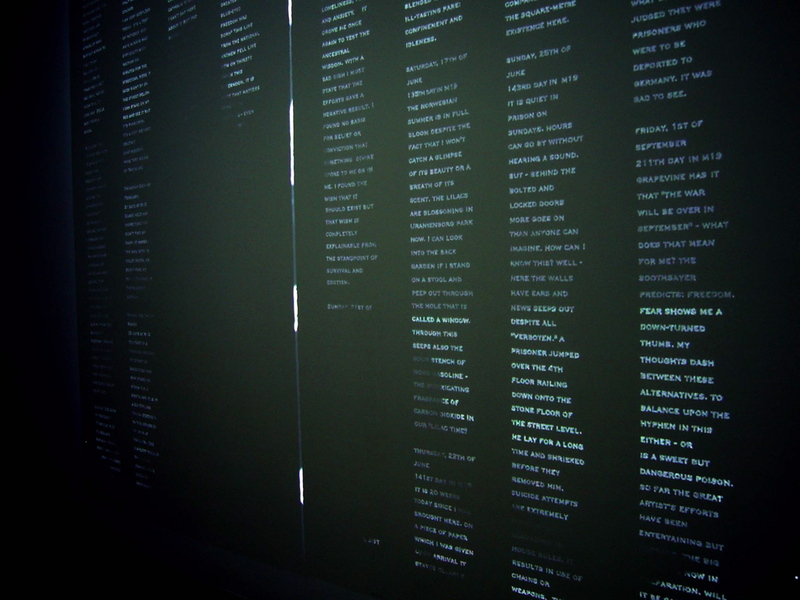 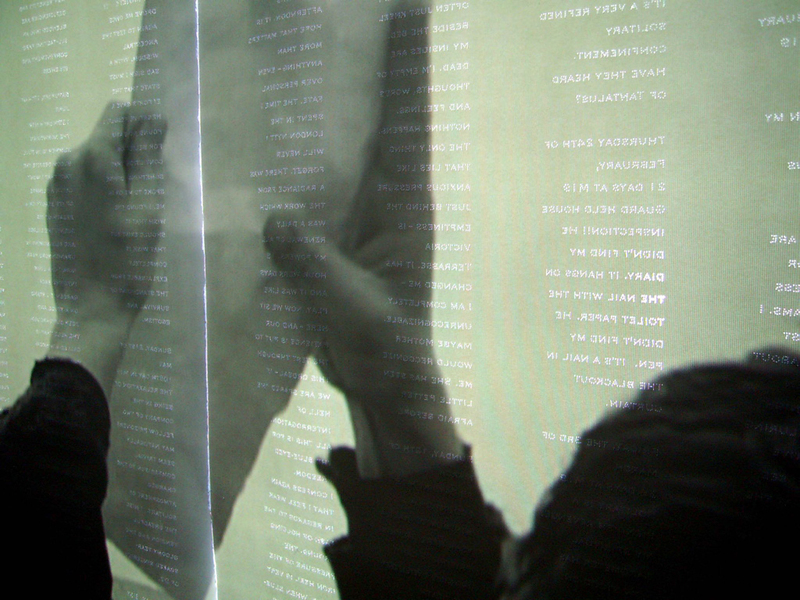 The screen is punctured with thousands of tiny pin-holes that spell out excerpts of the diary (translated into English). 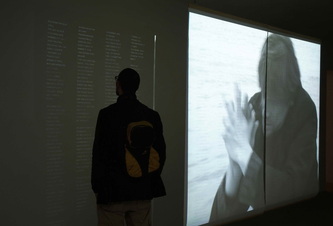 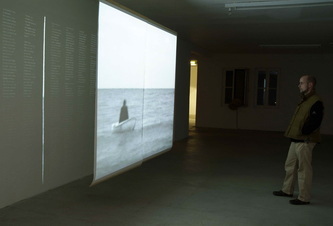 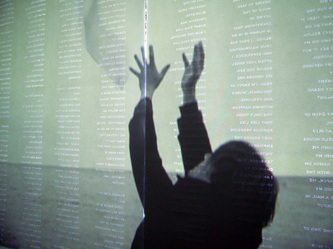 A video of a lone man in an row-boat drifting on open waters is projected onto the pin-pricked screen so that light goes through the holes and is cast on to the rear-wall. 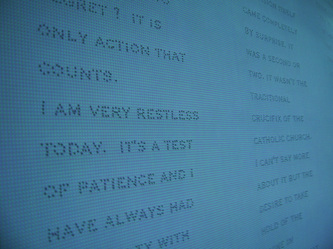 As the dark and light patches of the video move over different areas of the screen, different segments of text are revealed or obscured. Created with an Ontario Arts Council Grant to Emerging Artists: Film and Video.